When one thinks of the city of Kingston, lots of things come to mind. However, what we want you to think about is what will March 2019 bring. You then ask yourself, how am I going to do all of this in Jamaica for the whole month of March when I don’t have all that time off? My choice for you is to come to the Kingston City Marathon www.kingstoncityrun.com and you will get the greatest experience ever. The weekend’s event will have a welcome (Friday) and an after-party. There will an exhibition on lifestyle and wellness (Saturday) and then there are the races – 5K, 10K, ½ marathon, full marathon (Sunday) (IAAF/Aims certified). The races will take you through some of the historical sites across the city which has been declared one of UNESCO’s Creative City. Also, only recently, reggae has been added to the cultural heritage list. Kingston has a lot to offer to every discerning visitor from home and abroad. The experience will be diverse. It will have the best of the people of Jamaica. The most sumptuous and tasty food; the best music selections you will hear anywhere in the world; great accommodation – even an hour away in Ocho Rios and the race you will choose to run to relax and to add to your bucket list. This 7th running of the event, while attempting to attract global participation, will have a special focus on the Caribbean and the Project Team has created an opportunity to highlight the top Caribbean winners in each race category. You may even see a Caribbean performer at the after-party. So, think about this from my view. You have vacation. You have some extra money left over from Christmas. And all the bills are covered – make it Kingston, Jamaica, March 14 – 18 and you will get to have the experience of a lifetime. Call up your favorite travel agent and secure airline seats and hotel rooms and sign up for the run www.kingstoncityrun.com – you will thank me. We’ll be back in Jamaica with Jeffrey, my partner Arthur Wylie, and the rest of the Global Renaissance Entertainment Group team shooting White Witch Of Rose Hall very soon, and I’m looking forward to building relationships with the local filmmaking community on this trip. We’re committed to partnering with the island in a big way, to not only bring attention to the island’s culture, but also to do our part in making real impact in the community through film production and the work of our charities – Arthur Wylie Foundation and Project:NOW / Always In The Club Foundation. I’m proud to be a part of what I know will be an outstanding tradition in the Caribbean, so I’ll be doing some Periscope-ing and posts while there. Also watch out for my blog post when I get back at www.IAmDaleGodboldo.com. Stay tuned, and see you JULY 7th from ‪#‎Kingston! 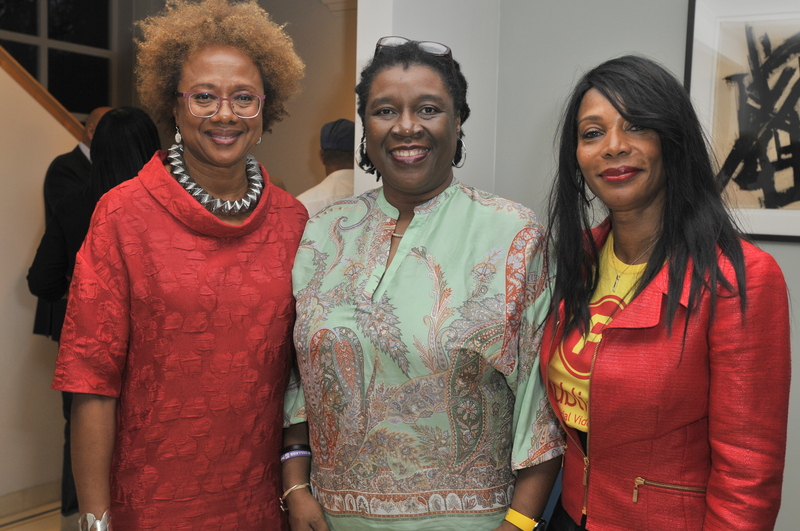 (Los Angeles, CA, March 2015) – Some of Hollywood’s brightest stars and entertainment executives welcomed Jamaica’s film commissioner Carole Beckford recently at a reception announcing the inaugural Jamaica Film Festival. The event was co-hosted by Hon. 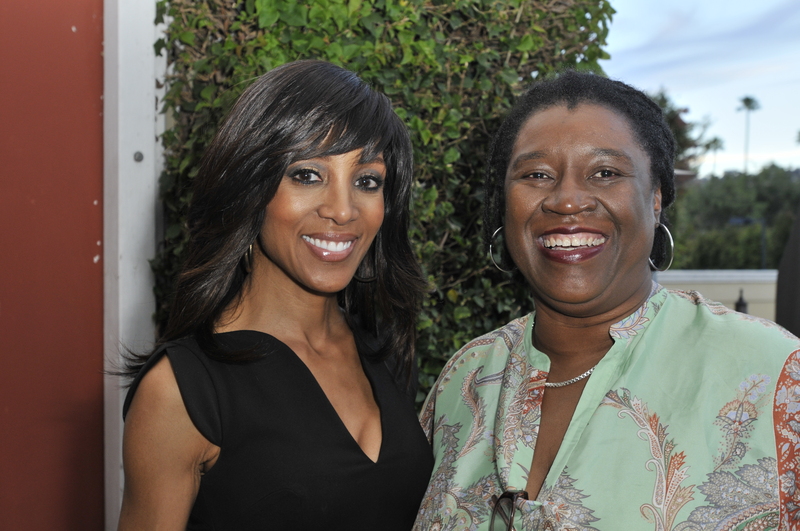 Consul Lorna Johnson and author/filmmaker/media entrepreneur Paula Madison in Beverly Hills, and served as a kickoff for the festival. 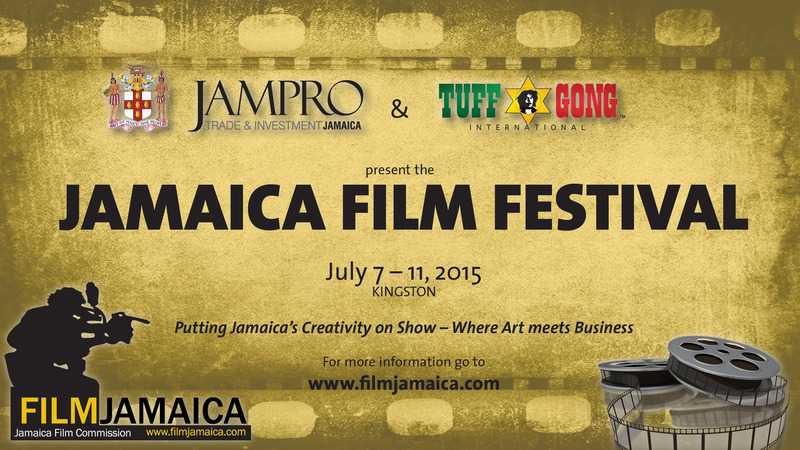 JAMPRO, Jamaica Trade and Investment, which houses the Film Commission, will host the festival in Kingston, July 7 – 11. 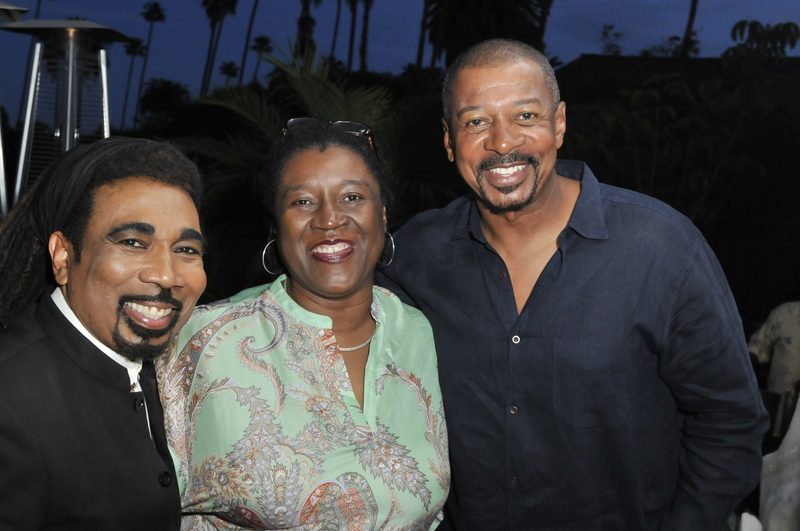 Among those in attendance were: Shaun Robinson (host of syndicated daily entertainment news program “EXTRA”); film directors Robert Townsend and Bill Duke; actors Salli Richardson-Whitfield and Jeffrey Anderson-Gunter; and studio executives Bruce Evans and Talitha Watkins. Ms. Beckford’s recent trip to Los Angeles was an opportunity to engage the Hollywood community with a focus on collaboration and partnership. Jamaica will for the first time premiere over ten films, directed, produced and made in Jamaica in time for the Festival. The Jamaica Film Festival is to become a marketplace for all in the business from ‘Script to Screen’ to hope for the best return on investment. The five-day event will look at workshop sessions, seminars, B2B sessions and a host of networking sessions aimed at connecting the industry at several levels. The five-day event will operate under the theme ‘Art meets Business’. 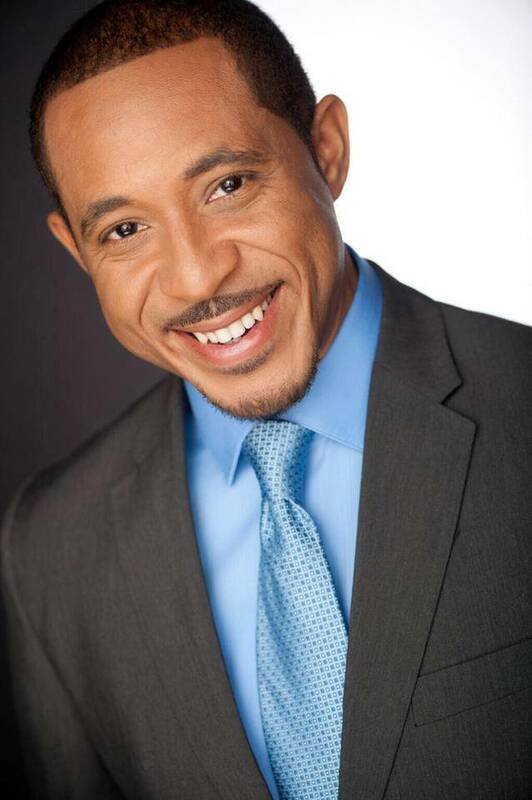 The Jamaica Film Festival, scheduled for Kingston, July 7 – 11, is shaping up to be a very exciting one showcasing the talents of the best and brightest in the Jamaican film industry. The festival promises to be a dynamic cinematic and cultural event featuring both local and international films. There will be business sessions, workshops and seminars, a music day with workshops and a live reggae concert at the Tuff Gong International Recording Studios. The exclusive beach party planned for Saturday promises to be lots of fun in the sun as well as a visual bliss as the majestic, rolling hills of the Blue Mountains, serves as a backdrop in the distance. Importantly, work from 13 of Jamaica’s leading directors/producers/writers will premier, parading Jamaica’s content in front of an international audience primarily from the USA, Canada, the UK and the Caribbean; but with interest from a variety of other countries to include Australia, Argentina, Serbia and so many more. Kingston will come alive with the film festival and patrons will have the unique opportunity to experience why Jamaica’s culture is so infectious. The city of Kingston offers an unparalleled culinary experience, a vibrant nightlife as well as museums and galleries rich in culture, coupled with the warmth of the Jamaican people. Kingston boasts having restaurants owned by and named after three of our iconic sports superstars, Usain Bolt’s Tracks and Records, Courtney Walsh’s Cuddy’z and Chris Gayle’s Triple Century. In addition, Kingston is home to the fourth best place to have ice cream in the world, Devon House. Its location was built in the late 19th century as the residence of Jamaica’s first black millionaire and is a masterpiece of Caribbean Victorian architecture. Also home to the world-famous Blue Mountain coffee and Reggae Music, Kingston’s energy and vibe will revitalize anyone. A city with the seventh largest harbour in the world and various historic sites, Kingston has a variety of unforgettable experiences to offer that will last for a lifetime. The festival seeks to promote Jamaica as more than just a backdrop location. Jamaica is currently experiencing a creative revolution where it has positioned itself as the cultural powerhouse of the Caribbean, producing outstanding creative products, services and talent. This has led to a deeper focus on developing the island’s creative industries in particular film, with the goal of becoming one of the thought leaders in the industry. The idea is for Jamaica to evolve into being the regional hub for creative talent and services, and having a national film festival will help solidify the growth that has to take place. With up to five production houses each with over four decades of experience in film and video production, the Jamaican technical skills base in this industry is of world and industry standards. The technical expertise ranges from world-renowned directors to our warm and hospitable drivers, all of whom maintain the passion and drive to make it comfortable for crews to work in Jamaica. 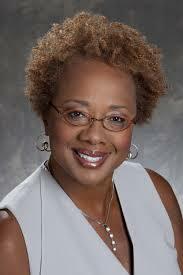 Jamaican TV has evolved and continues to produce relevant, entertaining and engaging content. Home to one of the longest running soap operas in the English speaking Caribbean, Jamaica’s Royal Palm Estate/The Blackburns has set the island’s TV industry a league ahead in the region. The TV industry is looking to continue to create shows that appeal to an international audience. On the cusp of five feature films being released in the past three years (Better Mus Come, Rise Up, Ghett’a Life, One People and Ring Di Alarm), Jamaica’s emerging film industry has been given new life. More local content is being distributed internationally in countries like the UK, Europe, South Africa and Japan. The growth of the international film industry has set the stage for Jamaicans to further develop as content creators and lends the opportunity for our talent to be in high demand and recognised worldwide. 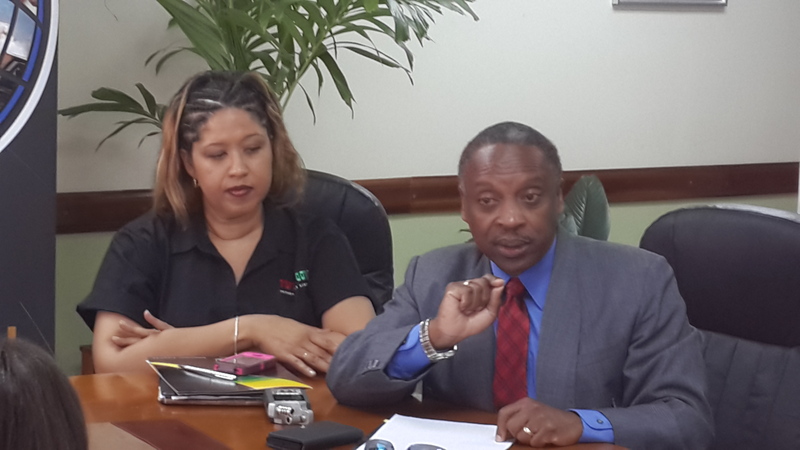 KINGSTON, January 4 – Jamaica can and will continue to host a number of film and music festivals. The country’s content and production are of the diversity, quality and brand strength to be able to maintain and sustain festivals for its relevant markets. The state’s investment and export promotion agency, JAMPRO has secured the services of a number of organisations and professional individuals as part of a continuing effort to market the country’s resources in a number of key sectors, of which film and the creative industry are important. Akin to that is hosting of events, meetings, conferences, workshops, seminars, roadshows, and in this case festivals as mechanisms to showcase the island’s services. A number of other partners have been pursued (public and private) and those will be announced shortly, to include strategic media partners, local and international. A call for film/documentary projects was announced and 54 projects were observed through pitch sessions. The pitches were seen by a myriad of local experts and a short list has been recommended. The next step is for script experts to match scores from the pitch sessions upon which those selected will be announced for production. A number of professional development workshops will be held for the teams of the projects chosen to ensure quality and provide the support warranted for the successful delivery of the projects in July. Though a small country relative to those with longer history with film festivals, e.g. Canada, there is room for more than one. Canada for example, profiles the Toronto International Film Festival (TIFF) as its premier event, while there are at least ten other MAJOR ones with a few themed festivals. There are ten major ones and that does not include the sub festivals while the major ones are going on. So Montreal, Quebec, Vancouver etc have their own. Jamaica’s layout by parish/county is distinguished by its culture, and with effective planning the indigenous of each area is at liberty, as has been done, the opportunity to plan its own series of cultural events including film festivals. 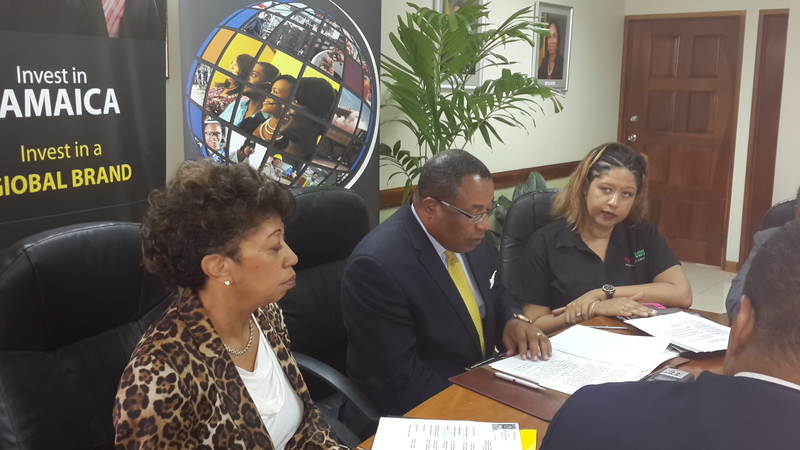 No government or private sector entity can restrict a community; neither will JAMPRO. The nature of the business is one which is open for a variety of projects, but JAMPRO has a mandate and role to determine programmes in the best interest of Jamaica’s export and investment projects. The Film Festival in July is scheduled for Kingston and it is on – stay tuned to http://www.filmjamaica.com and information will be revealed in a timely manner. We invite all those with ideas to plan to keep Jamaica’s brand in check as we seek to promote our services and products to the world. There is room for all of us to exist. Film, Music and Entertainment – Jamaica is where it all is! 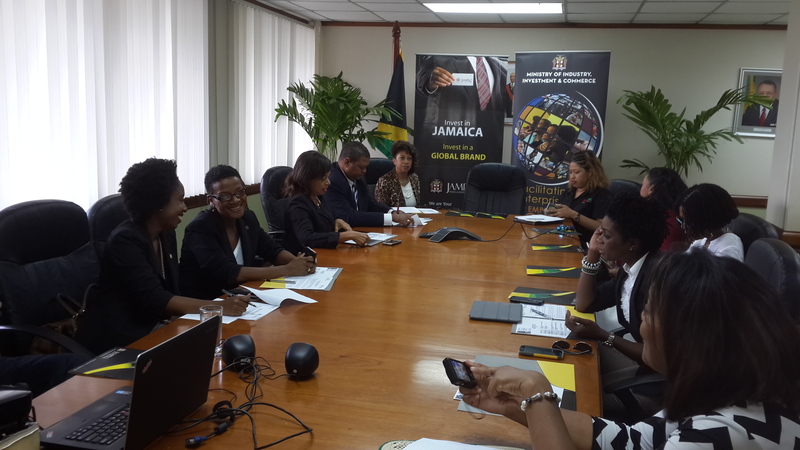 KINGSTON, November 26 – In what could be considered a master stroke, JAMPRO, Jamaica’s trade and investment agency signed a memorandum of understanding (MOU) with the Bob Marley Foundation on Wednesday to signal both groups’ intention to partner for the Jamaica Film Festival 2015. 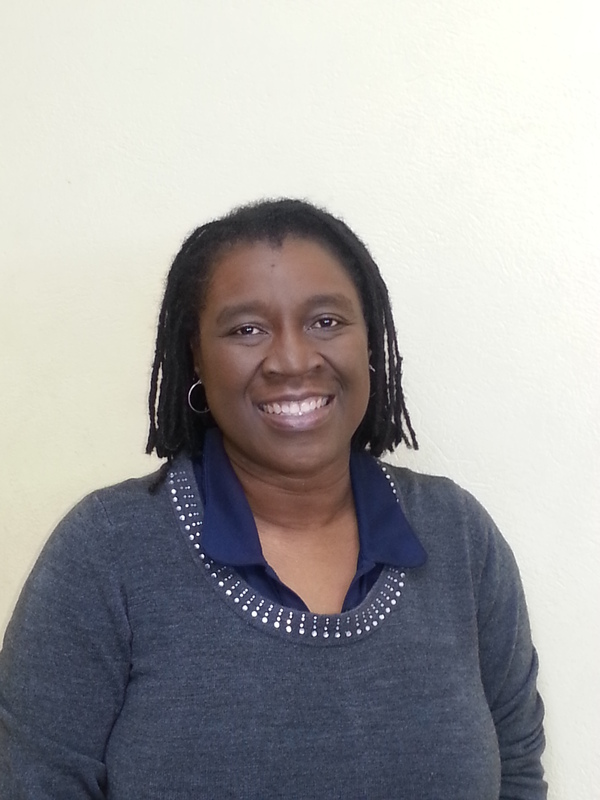 Marie Bruce, General Manager, Bob Marley Group of Companies who spoke on behalf of the Foundation, signaled the team’s intention to push the Jamaican message to every corner of the globe. Coming off a recent successful partnership – the Tuff Gong International acquired the global distribution rights for the soundtrack of Jamaica’s recent romantic drama, Destiny. The company is the region’s exclusive licensee for international recording companies Warner Music Group, Disney Music Group, and Universal Music Group. This means that the movie’s official soundtrack will be released internationally on the Tuff Gong label, as part of the deal with Caroline Music, a division of Universal Music Group. The move, Bruce said, was a perfect fit and the Film Festival is just another way the country’s image can be enhanced. Also speaking at the briefing attended by a variety of public and private sector representatives, including financial institutions, was JAMPRO’s President, Diane Edwards, who indicated her agency’s mandate to create an environment where “Art meets Business”. The Minister of Industry, Investment and Commerce, Hon. G. Anthony Hylton in his keynote says “this marks a truly remarkable partnership in building Jamaica’s cultural and creative industries, and to a larger extent, the economy. Having access to one of the biggest and most renowned Brand in the world is a massive achievement.” The Minister pointed out that having held the reputation of being the cultural and creative powerhouse of the Caribbean, being positioned as the major producer of creative products, through an event like the Film Festival, will help to attract a wide variety of attention and offer us a competitive edge to earn from the film industry. The Minister has committed his efforts to “make” the location more attractive and competitive by maintaining, upgrading and adding facilities of the highest standards. Joining via Skype was Paula Madision, CEO and President of Madison Media Management who has offered to sit on the Festival’s Advisory Team. 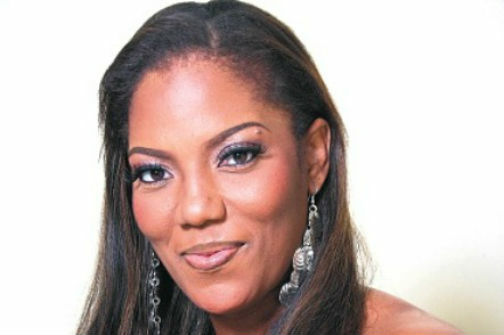 She has extended the reach of her rolodex to bring the relevant persons to Jamaica who she says has a myriad of interests in the business of film making. JAMPRO’s Chairman, Milton Samuda in his closing remarks pointed towards the shift of JAMPRO in ensuring that the value chain for the industry is recognised and the right eco-system is required to make the sector flourish. KINGSTON – Jamaica’s history with Film Festivals dates back to 1999 when Island Girl Productions, lead by Sheryl Lee Ralph developed, conceptualized and executed the Jamerican Film Festival. This event was always hosted in Montego and from the early days had partnership from the Jamaica Tourist Board and JAMPRO. For at least five decades, film festivals have become popular worldwide establishing a decent reputation for professionals in the film industry, but generating varying interest from curious tourists and locals who are keen on learning more of a city’s/country’s culture. The benefits to Venice are enormous and only this year two hotels in the vicinity of where the Festival is held is seeking US$380 million to renovate two of its earliest properties in the city for the 2015 renewal. It was reported that actor, Errol Flynn and Winston Churchill stayed at the Excelsior, one of the properties listed and that the very first festival was held on its terrace 82 years ago. That information is on the Festival’s website and is promoted as such. The other massive Festivals are Cannes, Toronto, Sundance and Berlin. Berlin has been reported to have the biggest crowd and by that has been declared the largest. A study has indicated that there are 3,000 active film festivals worldwide – all of which have been held in the last 24 months. Sundance, held in Park City, Utah reported that the Sundance Institute brings US$86.4 million – figures from a University of Utah’s Bureau of Economic and Business Research. The Festival is believed to have supported 1,434 jobs and generated US$65.1 million of media exposure. Over 45,000 people were in attendance and the report shows that more than 65 per cent of that number traveled from outside of Utah. Kingston has 2,000 rooms in hotels along with some additional ones in villas and homes. While not too hard to fill, the energy and focus on the entertainment capital of the Caribbean can be enhanced by adding another product for the city. Already packed with numerous cultural activities to include live music, night clubs, great restaurants, sports, theatre, beach parties, hiking, running/jogging/walking for that grouping and the historical sites to include Devon House, Bob Marley Museum, Trench Town and Port Royal – A film festival is all Kingston needs to make the city complete. Reggae Month, Kingstoon, Kingston on the Edge; Jamaica International Film Festival, Kingston City Run and the numerous 5Ks are good for the product package of the season. And we will not forget the number of famous churches in the city. If you consider the Hellshire and Fort Clarence experiences urban enough, then a trip there is also part of the mix. Three top-rated sport bars connected to icons – Courtney Walsh, Chris Gayle and Usain Bolt are strategically positioned in the city. The use and display of cultural spaces in the city will have to be managed in an efficient way and what exists now with the varying access to use of those spaces will have to be streamlined. Kingston deserves a Film Festival and should be supported by the businesses and people in Kingston and the wider Jamaica. While the city clamours for a Film Festival what is also necessary is films, documentaries and TV series to be shown from the local industry along with regional and international inputs. Jamaica has largely been a location for filming, but with intermittent development of film products over the last few decades, the industry requires input from investors to support the creation of scripts worthy for screen to be shown at the Jamaica Film Festival. A call for film will be announced in a few weeks and from there it is “The Show must Go on” approach. The Film Commission has sought the advice of industry folks at home and abroad and the idea is generally accepted; but like with all so-called intangible outputs, the financial support/investment/partnership seems slow in coming. Jamaica’s brand has largely been seen as connected to the sand, sea, sun phenomena and with all those options created in a few destinations, the competitive advantage must emerge. The cultural capital of Jamaica is underestimated by its own and somehow the packaging and development have been less than impressive. The investors in the society can break away from the norm and partner with the creators to produce at least one feature film a year, a few documentaries and other stories in the screen and/or TV formats. The opportunity looms and with just under 250 days to go – Kingston has the opportunity to light up the space and be the focus on this region and the world. Also on that time (summer) the track and field team will be in Beijing; the netball team will go for Gold in the World Championship and Rio will be in full sight. That is a lot to promote and throw in a film or few – that’s ideal. Let’s make this happen and support the “Script to Screen” for 2015 – Jamaica Film Festival, Kingston, July 7 – 11 in 2015. 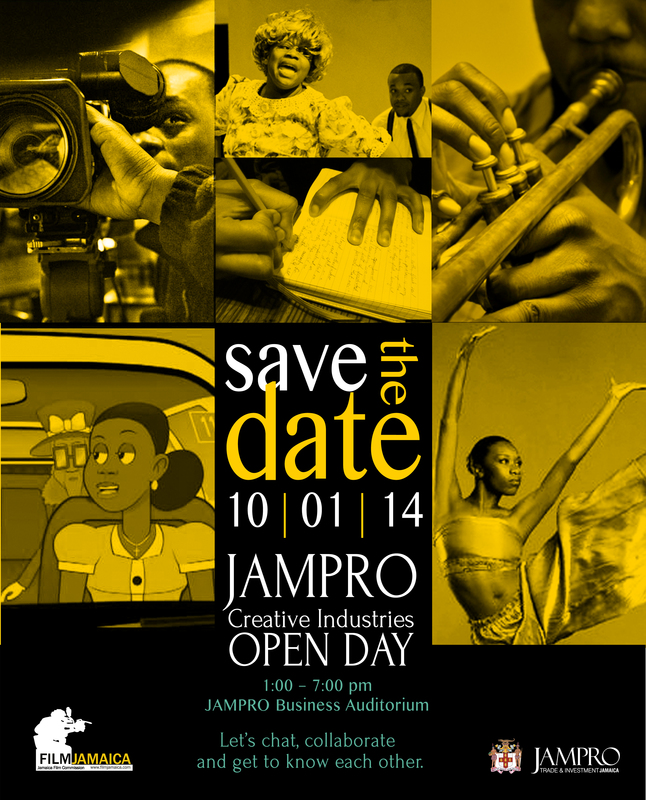 KINGSTON, September 23 – JAMPRO’s Creative Industries Department will host an Open Day for the industry on Wednesday, October 1 from 1:00 – 7:00 pm at its head office in Kingston. The agency’s President, Diane Edwards, announced its intention to continue its focus on creating ways and means in which the industry members create/produce content, have it distributed in markets where there is good return on its investment, earn significantly while being able to protect intellectual property. The Open Day is primarily aimed at capturing information from practitioners in the Film, Music, Theatre, Dance, TV, Literary, Fashion and related groups and to explore business matchmaking opportunities within the Jamaican context, but to ultimately match them with international partners. A roster will be set up to cover the six hour event and industry professionals will be posted for Q&A each half an hour. The Pantomime remains the longest running “play” in the Jamaican theatre space and from Jack and the Beanstalk in 1941, for 72 years this presentation has moved from the British-inspired to the Jamaicanisation of the script using its own song, dance and culture to highlight the change. The LTM’s website states that the change was evident “with dialogue in patois and humour reflecting the robust sense of comedy of these “islands in the sun”. The LTM has also produced a raft of other productions since 1941 http://www.ltmpantomime.com/pages/History/otltmproductions.html Among them are classics such as William Shakespeare’s Midsummer Night’s Dream, Othello, Merchant of Venice; and Roger Mais’ Brother Man. While the Pantomime has remained a staple in the theatre diet of the Jamaican people, there are some other productions that have done well to host record-breaking performances in recent years. As recently as 2009/2010 Bashment Granny 2, ran for more than two years playing to an estimated audience of 300,000. Note too that the plays that tour have an opportunity to reach a much wider audience. How can theatre makes our lives better? 2. The theatre provides an opportunity for artistic expressions to be embedded in our culture. While the argument can be made about appropriateness of productions…we are more concerned with going to the theatre becoming a habit of groups, families and individuals. The theatre season in Jamaica though intermittently running throughout the year, is concentrated in the December to April timeframe. 4. Theatre can aid in education and literacy. Its re-enactment of books used in schools along with those written to highlight glaring issues are just two ways in which students at all levels are able to have a better understanding of what is already written. The interpretations of the work of a Shakespeare for example, which is still used in a lot of schools, should be encouraged. Television is also a great tool as those interpretations have also been done on screen. Jamaica’s cultural offer rests within the theatre, music, film, fine art, food and dance sectors, all of which have set its own parameters. All are related but separate – but with support from the private and public sectors can be the industry of choice for Jamaica.